Downtweet is out to expand its reach with the new Twitter search engine capability. With the said feature, everyone can now search for interesting tweets. This provides another stream of fun for many people. The Internet would have never been the same without the boom of Twitter. This social networking site introduced micro-blogging through the form of personal tweets. This appealed to many people, especially to those who are active daily. Some developers foresaw the immense market share of Twitter. Thus, they created a Twitter application known as Downtweet, providing a new avenue of fun and interest for everyone. Reaching out to people online has been quite a challenge. Marketing rookies pattern their strategies after common crowdsourcing, thus failing to realize that there are better alternatives. A blog with a powerful widget is something that a marketer must have. By this premise alone, Downtweet creates a win-win scenario. Downtweet may appear simple to many people, but it has great potentials when it comes to entertainment. 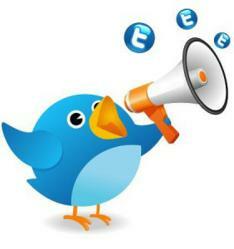 People fondly refer to it as a Twitter search engine because of its clear purpose: to provide tweets everyday. Downtweet also looks similar to Twitter, capturing the hearts of many Twitter users. Searching for a tweet in this application is relatively easy. In Downtweet’s active panels, the user can drag and drop categories. Famous categories are comedy, money, politics, business, gossips, and some tweets about Hollywood celebrities. Once a category is selected, the feed will display the related tweets in just few seconds. This fast output delivery appealed to many people, especially to those who are always on the go. Downtweet can also be referred to as a Twitter tag search engine because it displays some categories about famous tweets. These tweets can be reused by anyone who has a Twitter account. It has been proven that funny and controversial tweets attract a lot of attention from Twitter followers. For entrepreneurs, this is a simple yet powerful marketing strategy. It is true that there are many Twitter apps out there competing for that sweet spot on the top. However, Downtweet spells real potential and connectivity, and is on the way to widget pedestal. New users are signing in everyday, seeing its worth. Bloggers, internet surfers, and even passive Twitter users can visit http://www.downtweet.com to know more.